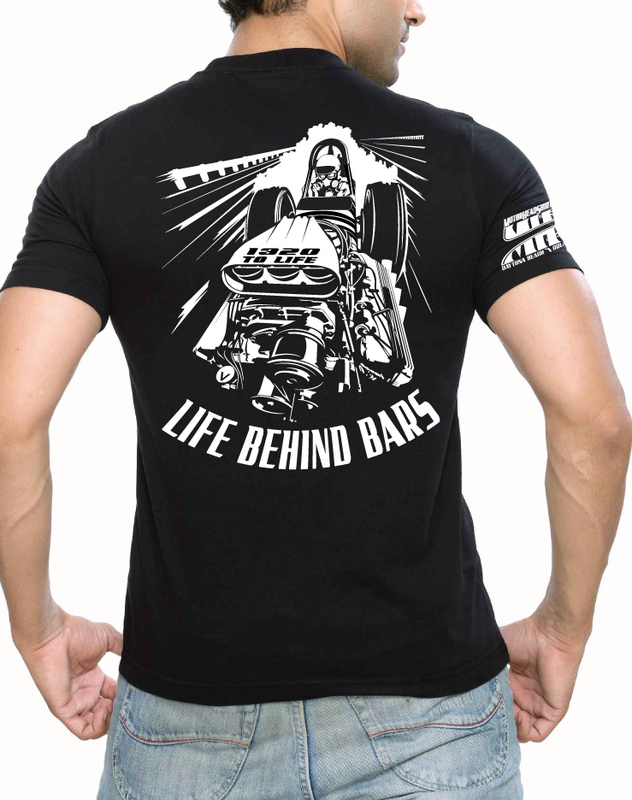 Front Engine Dragster Design printed on heavyweight 6 oz 100% cotton T-shirt. 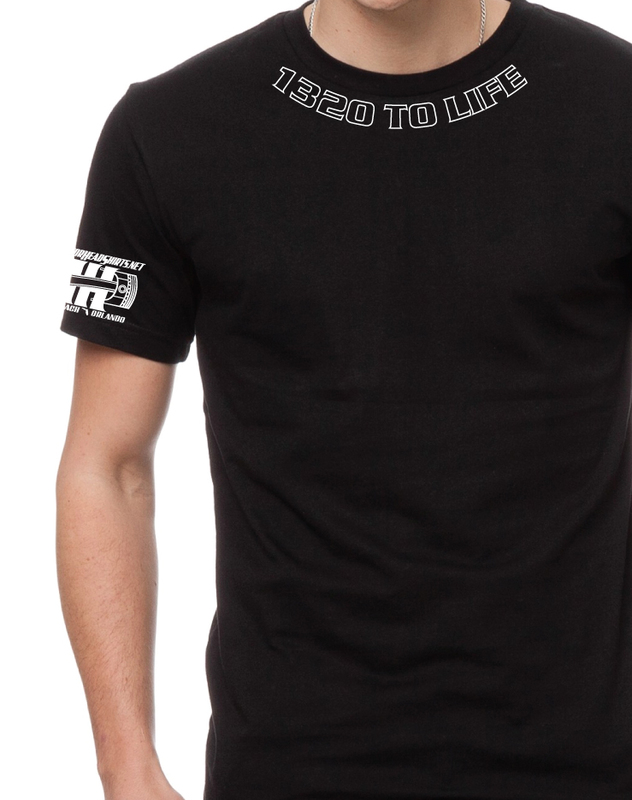 1320 around the collar front print and Motorheadshirts piston logo on right sleeve. We also offer an additional front print.